This slender polished nickel and crystal torchiere floor lamp is perfect for a sophisticated dining room or chic bedroom. A shimmering, slender metal stand and round base is accented with a stack of clear crystal orbs in this elegant nickel torchiere floor lamp. A crisp frosted white glass torchiere shade lends a soft glow to the light. Transform a traditional space with this beautiful Dale Tiffany lamp. 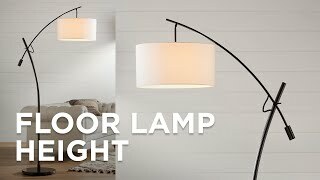 Glistening transitional floor torchiere lamp. Clear optic crystal stacked accents. Shade is 14 1/2" wide and 4 1/2" high. Contemporary, but not ultra-modern. Crystal orbs add interest. Overall feel is light and bright. Doesn't look cheap or flimsy. can I use LED bulb? Does the lamp usr a standard light bulb? 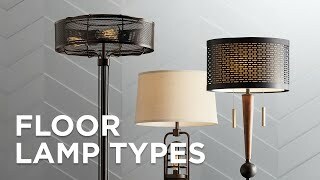 BEST ANSWER: Yes, this floor lamp uses standard base bulbs. little more reasonable, but am certainly happy anyway. There isn't anything I dislike about this torchiere. 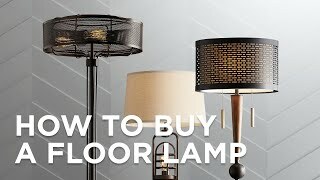 I looked at pages and pages of lamps on Wayfair, Overstock and Amazon and just couldn't find what I wanted. This is it! The crystal balls at the top are so pretty, and the silver finish looks great against my gray/blue walls. I would definitely recommend this lamp.